1. CAN CEMCOLORI BE APPLIED IN COMBINATION WITH FLOOR HEATING? Yes, this is no problem at all! A separate heating schedule has been created for the realisation of new floors. This schedule is available via certified Cemcolori processors, and they will ensure that your Cemcolori floor will be made without problems. 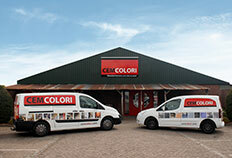 Cemcolori floors meet the most modern safety and comfort requirements. 2. 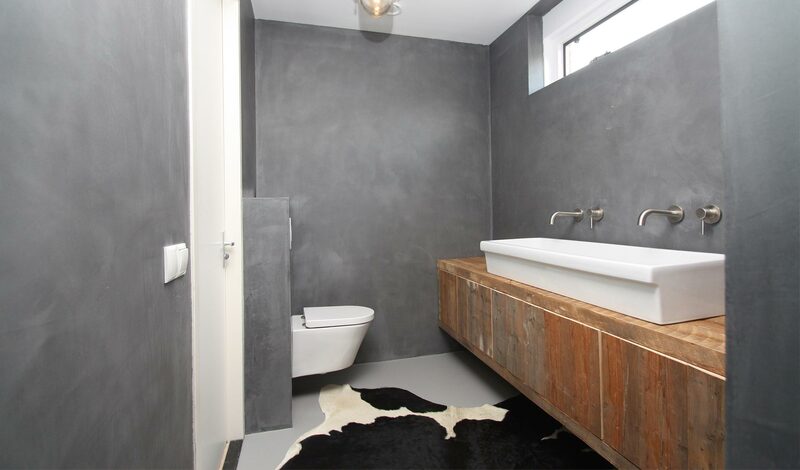 IS IT POSSIBLE TO APPLY CEMCOLORI OVER TILING IN THE BATHROOM OR ON TOP OF A TILE FLOOR? Yes, this is possible! And it prevents a lot of unnecessary demolition and crushing work. The processor first flattens the tiles so that the substrate does not become visible due to the Cemcolori. Then, the Cemcolori can be applied to this substrate. A new appearance for, for instance, your bathroom, without any demolition work. This can usually be realised within a week. 3. 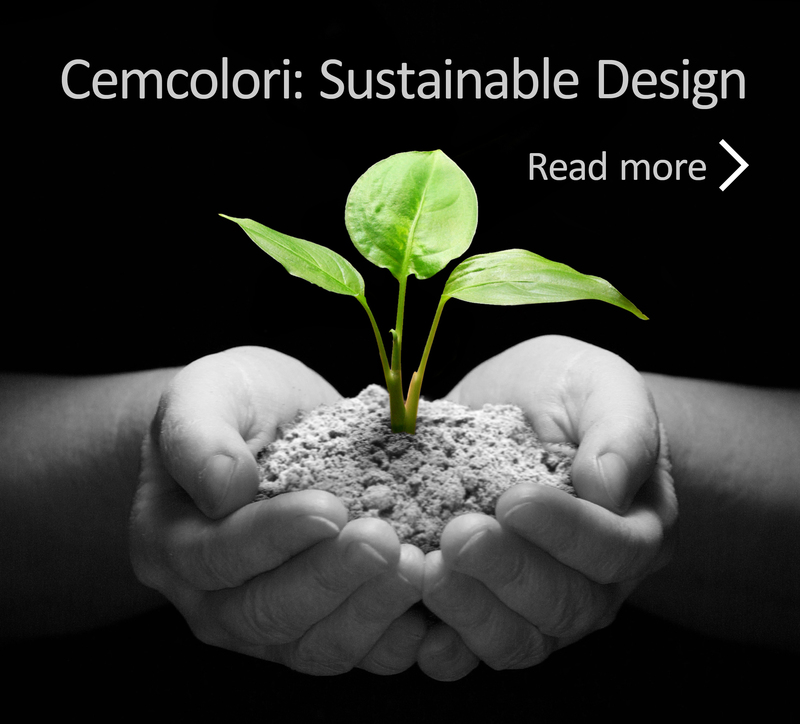 WHAT SUBSTRATES ARE SUITABLE FOR CEMCOLORI? Cemcolori can be applied to virtually any stable substrate. It is best to assess the specific situation with the processor. 4. CAN CEMCOLORI ALSO BE APPLIED OUTSIDE? This is possible under certain circumstances and with the right preparation. For more information, it is best to contact a certified processor. 5. IS CEMCOLORI SUITABLE FOR WET AREAS, SUCH AS BATHROOMS AND SHOWERS? Yes, Cemcolori is very suitable for applications in wet areas. Cemcolori is waterproof at a sufficient layer thickness, which makes it unique in its kind. 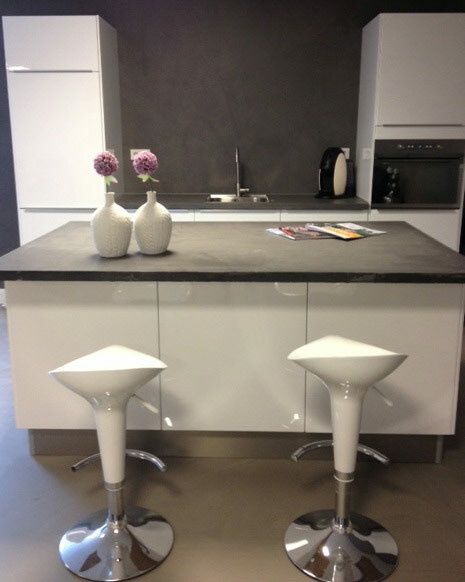 Other finishes in the market need a special lacquer to make the end result fully waterproof. This is not the case with Cemcolori. A final lacquer layer applied to Cemcolori only serves to protect it against dirt. 6. HOW LONG DOES IT TAKE TO PROCESS CEMCOLORI? In many cases, it is possible to realise the Cemcolori in two to four days. Of course, this depends on the specific situation. In consultation with your certified processor, you can discuss the time planning in detail. 7. IS CEMCOLORI RESISTANT AGAINST FAT AND OTHER CHEMICALS? 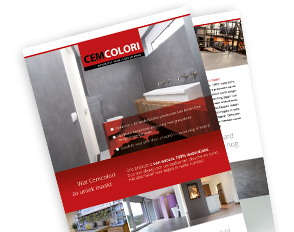 With the PU Finish, the Cemcolori is suitable for normal use. For exceptional situations (hair salon, car showroom, bicycle shop, catering), we have developed the PU Supercoat. 8. IS CEMCOLORI EASY TO CLEAN? Yes, thanks to the lacquer layer, the dirt remains on the Cemcolori and can easily be removed with the Cemcolori cleaner. For stubborn stains, we offer the Cemcolori degreaser. 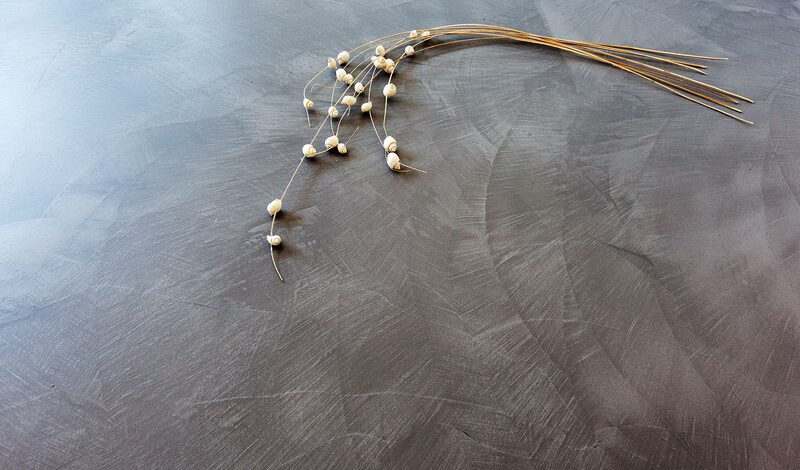 Moreover, Cemcolori is seamless (no seams such as with tiles), which is beneficial for maintenance.